2 Federal Census, PA, Allegheny County, 1920, Pittsburgh Ward 11, E.D. 490, Sheet 13A, Image 25 of 31, Ancestry.com (Online Census Images). 3 Federal Census, PA, Allegheny County, 1910, Pittsburgh, E.D. 420, Sheet 2A, Image 3 of 22, Ancestry.com (Online Census Images). 4 Federal Census, PA, Allegheny County, 1900, Allegheny Ward 11, E.D. 85, Sheet 1B, Image 2 of 30, Ancestry.com (Online Census Images). 5 U.S., Social Security Death Index, 1935-2014, Death record for C. Hax McCullough, Ancestry.com (Online Database). 6 WWI Draft Registration Cards, Draft registration for Christian Hax McCullough, fold3.com. 7 WWII Draft Registration Cards, Draft registration for Christian Hax McCullough, fold3.com. 8 Roberts, Gary Boyd, Notable Kin, Volume 1 , Santa Clarita, California: Carl Boyer, 3rd (1998), 21. 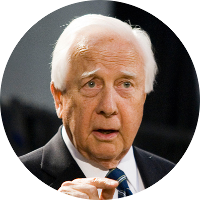 9 Wikipedia, "David McCullough", (accessed 07/03/2017).